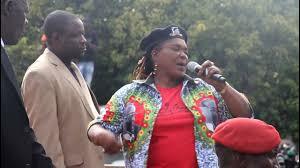 Minister of State for Manicaland Provincial Affairs, Ms Mandi Chimene, who is among Zanu-PF members fired from the ruling party is holed up in Mozambique after she dropped off in Zambia on her return from China at the weekend. Although most of the people she travelled with to China are now back at their respective work stations, Ms Chimene is conspicuous by her absence, with conflicting reports saying she is still in Zambia, with other reports pointing out that she is now in Mozambique. Responding to questions sent to her, Ms Chimene one of the most rabid critics of Cde Emmerson Mnangagwa, insisted that she was in Zambia and was making the necessary arrangements to come back home. “President Mugabe has now resigned and this has opened a new page in our Zimbabwean history. I support what has happened and will support the new political dispensation. I will support the new party leadership and I want to assure the new President of my support. I support the person who occupies the chair of the President,” she said. When asked about her return to Zimbabwe, she said: “Definitely I will be coming back home. I was not sure about what was happening on the ground, a reason why I opted to watch from a distance. “I will be in my office on Monday. I was told that I was fired from the party, but I will remain loyal to the party. I am Zanu-PF to the core. I am happy with President Mugabe’s resignation because I always insisted that I was having two fathers at the helm of the party. Since the elder father is gone, I will now work with the young father. “I will always stand for the truth even if it hurts some people,” she said.